Albanians are optimistic people, despite their bitter history in communism regime a quarter century ago. The most memorable thing from communism past are bunkers, spread all over the country. What to do with them? To destroy or turn them in attractive and creative places? 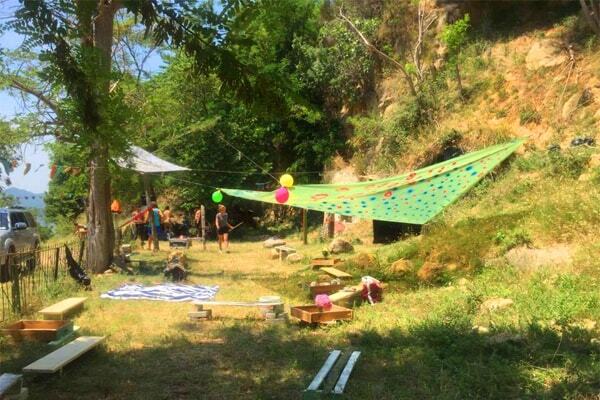 Some students thought about this, coming with a project to turn Tirana bunkers into cultural centers. 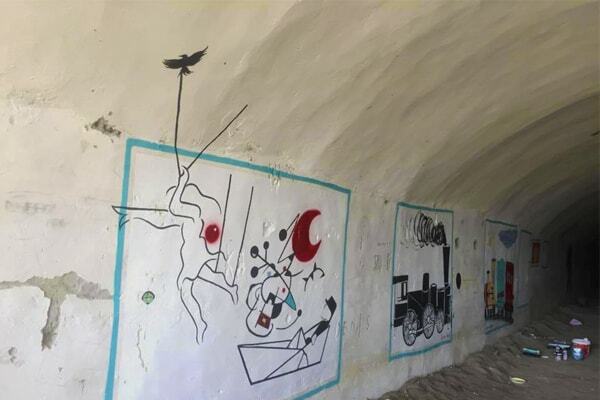 This is an Albanian-German project to paint and remodel the bunkers, starting from the hills surrounding Tirana. This is a project by students Babeta Ymeri, , Ivo Krug, Peri Bausch, Friederike Humpert, Niklas Krekeler and Fritz Tudyka studying at Freie Universität Berlin, Germany. The project is carried out in close cooperation with the alternative artspace in Tirana - Tirana Ekspres. Other project partners are Ostblick e.V. and Deutsch-Albanische Freundschaftsgesellschaft. 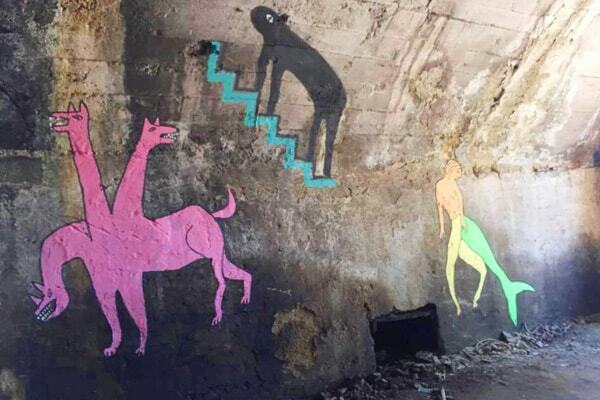 Babeta Ymeri, the Albanian student came up with idea to turn the bunkers of her hometown as new cultural spaces. Her group supported the idea and decided to come in Tirana and start the project. 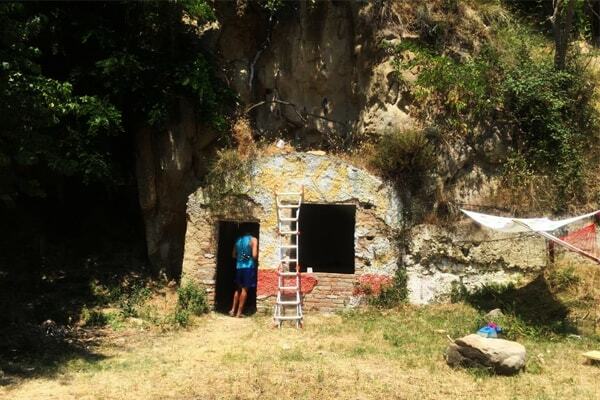 The group stayed about one week on top of one of the hills surrounding Tirana, in the known area as “Lapidari” the former military area and they worked with Albanian artist to transform the bunkers and the area around into a cool place. The abandoned military base, unused for 20 years, offers a spectacular view over the Albanian mountains near Tirana and provides a great spatial setting for creative work. Three bunkers were painted, and in the two biggest bunkers artist used graffiti. The area in front of bunkers was arranged as a garden with wooden benches, flowers and a path through it. As Babeta claims their goal is that the redesigning of the bunkers and the surrounding area is to create a sustainable aesthetic and functional area. They begin with the bunkers in the top hill of Tirana, but they are thinking if this project will be a success they want to do the same thing with the rest of bunkers in the country. Bunkers in Albania, especially in Tirana have always drive attention to foreigners for its history. In the 1970s and 1980s the Albanian State under Enver Hoxha built approximately 700.000 Bunkers – one per four inhabitants. Albania was then internationally totally isolated and had a self-image of being the only true marxist-leninist State. It had quit relations with Yugoslavia and the Soviet Union and feared the invasion of the eastern European neighbors after having exited the Warsaw Pact. The bunkers were supposed to make Albania a tough enemy in case of military confrontation and involve the invader into a long and grueling guerrilla war. Albanians leaders constant fear of war remained causeless – the bunkers remained militarily unused and were integrated into the civil parts of Albanian everyday life during the past decades. Many bunkers were destroyed due to interest in the large amount of steel. Others were creatively included into everyday life: they became storage rooms, bars and restaurants, cafés and shops, memorials and places for musical and cultural events.